I remember the days (of yore?) when I was obsessed with Unicorns. 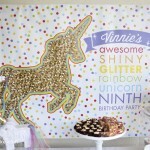 So when my son’s good friend announced he was going to have a Rainbow Unicorn birthday party, I jumped at the chance to decorate it! 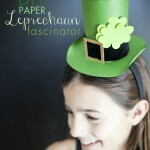 diy leprechaun hat : don’t get pinched! 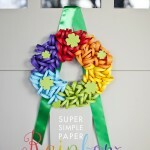 How cute is this DIY leprechaun hat? Just when you were starting to get worried about getting pinched because all your t-shirts are black, it’s paper to the rescue! This month, my daughter turned 14. 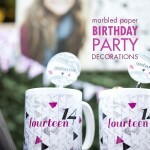 And while in my head I’m in total and complete denial, on the outside it was SO fun to brainstorm with her on the marbled paper birthday decorations we decided to use for her party.